Gamer.LK – the leader in Esports and Digital Entertainment experiences, organised the largest Digital Entertainment & Technology expo in Sri Lanka for the second consecutive year – Dialog Play Expo Sri Lanka at the Sri Lanka Exhibition & Convention Centre (SLECC). 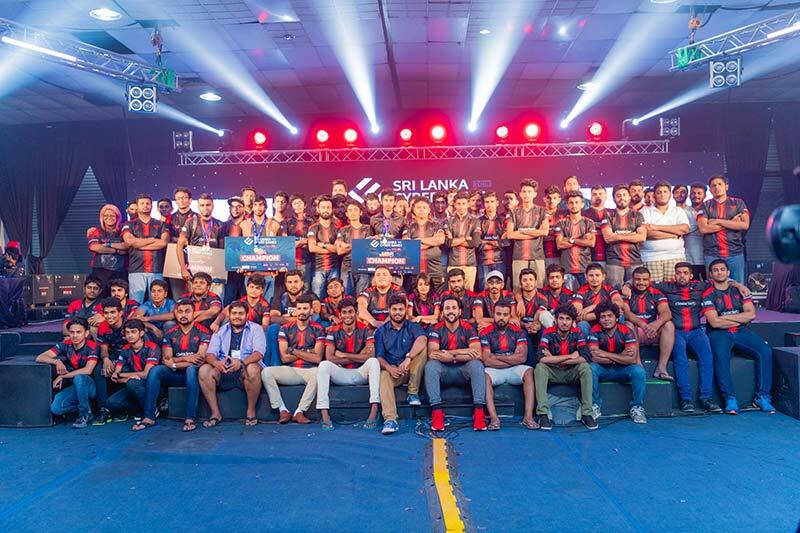 The three-day expo showcased the latest technology and experiences available for digital entertainment enthusiasts and featured Sri Lanka’s largest Esports championship and the Colombo Comic Expo. Play Expo once again played host to Sri Lanka’s flagship Esports and Video Game Championship – the 11th edition of Sri Lanka Cyber Games (SLCG), alongside the Colombo Comic Expo (CCx) which featured Sri Lanka’s largest pop-culture celebration, numerous panel discussions, artist showcase panels and the finest cosplay experience in the country. With only a few hundred participants taking part in 2008, SLCG has now evolved into a mega celebration of Esports and video games. This year’s Championship saw over 3,000 participants register to take part across the most popular gaming titles in the country, such as Call of Duty 4: Modern Warfare, Counter Strike: Global Offensive, Dota 2, League of Legends, Overwatch, Special Force 2, Rainbow Six Siege FIFA 19, Fortnite, Injustice 2, Tekken 7, Dragon Ball Fighterz and Mobile Legends. Showcasing the talents and skills of cyber athletes from across the country, SLCG 2018 marked the climax of the local Esports calendar. Play Expo this year also played host to the first ever eRacer Championship organised in association with TopGear. Complete with Red Bull racing seats, racing wheels and pedals, large-screen TVs and the tracks on Project CARS, the Championship was aimed at finding Sri Lanka’s fastest eRacer. This year also saw the inclusion of Sri Lanka’s first-ever competitive Mobile-Gaming Championship with the Mobile Partner Huawei, showcasing popular mobile titles such as Clash Royale, PlayerUnknown’s Battlegrounds (PUBG) Mobile and Mobile Legends. This year’s Play Expo also hosted the finals of the first instalment of the Dialog Game Hero Tournament, which took place from 1 July to 30 November and crowned the winners of the thrilling racing game, Se7en Gear.with a LKR 3,000,000 prize pool, the largest cash prize for a mobile title in Sri Lanka. Anuranga Ariyadasa took home a cash prize of LKR 1,000,000 while the first runner-up Ramesh Shanuka was awarded a cash prize of LKR 500,000 and second runner-up Kasun Maduwantha received a cash prize of LKR 200,000. Honda was the Motorbike Partner for the event with an exclusive giveaway of a Honda Navi motorbike to the winner of their mobile game Rider Rush which was played at the event. Players raced to set the best time in the game with Charitha Lakruwan walking away with a brand-new Honda Navi. The highlight of this year’s programme was the INGAME Esports South Asia Cup organised in association with the Sri Lanka Esports Association (SLESA), which saw the best teams from South Asia – Bangladesh, India, Maldives, Pakistan and Sri Lanka compete for a LKR 1,000,000 prize pool in the world famous League of Legends Esports title. Some of the leading companies in Sri Lanka extended their support to Play Expo this year. Dialog Gaming stepped in to power Play Expo and showcased an array of digital entertainment products and services at the Dialog experience zones at Play Expo. Red Bull came on board as the official energy drink partner and DELL became the Gold Sponsor. The Information and Communication Technology Agency of Sri Lanka (ICTA) committed their support to the event in their efforts to promote the Sri Lankan startup eco-system in the digital entertainment space and Electronic Sports. Huawei was the Mobile Partner for the event while Honda was the Motorbike Partner for the event. FriMi came onboard as the official Digital Banking Partner and offered discounts at the Mega Geek Sale happening on all three days of the event. MSI, a long standing supporter of Esports was the technology partner and KISS FM was the Radio Partner for the event. PRUVE was the Comic Expo Partner, Decibel was the Music Panel Partner, ReadMe was the Digital Media Partner for the event with Elektro Revo being the Lighting Partner and LetMeKnow as the Coverage Partner for the event. For more information and photographs from the event please follow Gamer.LK on Facebook at https://facebook.com/gamerlk.